I was really excited about the Model 3 from Tesla. Unfortunately, the math started to creep into the plan. This was supposed to be the $35,000 electric car for the masses. The reality showed this wasn’t the car for me. Once I saw that silver paint was an additional $1000 cost, I cancelled the pre-order. It felt like being nickeled-and-dimed. Higher expense, along with long production times, broke the budget and the fun. After some fairly harsh words about pre-ordering Tesla’s Model 3, I’m surprised to have had such a change of heart. After carefully researching the alternatives, the Model 3 is not perfect — but it’s a lot better than the competition. At some point in the near future, I will need a new car. I feel that it should be an electric car. Tesla is clearly the leader in that market. I now find myself in a really long line, a line with several hundreds of thousands of people ahead of me. The car is not even expected to start shipping until late 2017. It’s going to be a long wait. 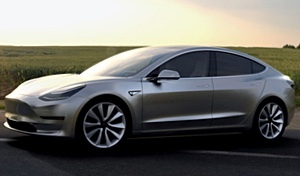 Last Thursday (on March 31, 2016) Tesla started taking preorders for the Model 3. 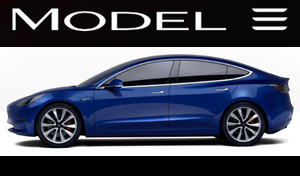 Starting at $35,000 – the Model 3 is the affordable version of Tesla’s all-electric vehicles. I was seriously considering joining in on the excitement. But at the last moment, I hesitated. Something seemed wrong. Did Elon Musk seriously expect me to put down $1,000 on a car that I didn’t even see?